Cuteness abounds with baby chicks, piglets, lambs, calves, goat kids, and bunnies. Check out the special “egg” treats for the animals. This fun form of enrichment will include colored Jell-O eggs, piñatas, and hard-boiled eggs. Minnesota Zoo, 13000 Zoo Blvd, Apple Valley. For info, see: http://mnzoo.org or call 952-431-9200. Two Rivers Gallery and the Minnesota Historical Society present the Mazinaakizige: American Indian Teen Photography exhibition. “Connection” is the culmination of bringing together five American Indian Youth artists to develop their digital photography skills. The artists will show a selection of photographs that they have taken through a twelve-week program utilizing the skills they have learned. This exhibition will travel across the state of Minnesota throughout 2019. Artists include: Grace Baker, Sita Baker, Sanje Handley, Lilia Torchia-Stately and Leila Verley. Two Rivers Gallery, 1530 E Franklin Ave, Mpls. For info, call 612-879-1780 or see: http://tworiversarts.com. Bring Her Home: Stolen Daughters of Turtle Island exhibit will highlight the ongoing epidemic of Missing and Murdered Indigenous Women. The exhibit will feature selected Native artists of Turtle Island, and features works from established Indigenous artists Jaune Quick-to-See Smith, Karen Goulet, and Angela Babby, alongside emerging artist. The exhibit shares visual stories of the impacted women and families affected by the ongoing epidemic of Murdered and Missing Indigenous Women. All My Relations Gallery, 1414 E Franklin Ave, Mpls. For info, see: www.allmyrelationsarts.com. Help plan the May 1st Kick-Off Day for American Indian Month in MN. Planning subcommittees meet at 10am. At 11am, the larger committee group will meet and share updates in the upper auditorium in the Minneapolis American Indian Center. All are welcome. 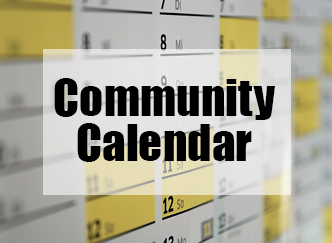 Upcoming meeting dates: April 4, April 11, April 18, April 25. For info, contact Alex at: abuffalohead@nacdi.org. Minnesota Supreme Court Justice Anne McKeig Speaks on Missing and Murdered Indigenous Women. This is the opening event for “Winyan Awanyankapi: Protecting the Lifegivers” Conference, but is open to the public. McKeig is the first Native American appointed to the Minnesota Supreme Court. Indigenous people attend at no cost in recognition of the theft of their lands. Non-indigenous people are asked to make a $50 donation, but no one will be turned away. The event will open with welcoming and ceremony, followed by Justice McKeig’s address. First Universalist Church, 3400 Dupont Ave S, Mpls. Doors open at 6:30pm, event starts at 7pm. For info, see: www.projusticemn.org/calendar/event.702078MIssing_and_Murdered_Indigenous_Women_The_Ongoing_Crisis. The Ikidowin Youth Ensemble will be performing the play “We will do it for the water.” Ikidowin is a company of Native teens, 12-16 years old. This play was written by Sharon Day and is based on recent efforts by Indigenous People to protect the waterways. Directed by Curtis Kirby (Ojibwe). The event is free for all indigenous people. Non indigenous people are asked to donate $50. No one turned away. 6:30pm doors open, with the play starting at 7pm. First Universalist Church, 3400 Dupont Ave S, Mpls. For info, see: https://www.facebook.com/events/553703478457824. A documentary about cultural survival and stolen children. For over 100 years, the US government has systematically removed American Indian children from their homes and communities to be raised by white families. Recently, the first government-sanctioned child welfare Truth and Reconciliation Commission (TRC) was formed in Maine. DAWNLAND documents Maine’s TRC journey, as it begins to address the devastating impact child welfare practices have had on the Wabanaki Confederacy, and searches for justice and healing. Sandy Whitehawk (Sicangu Lakota) will facilitate a discussion following the film. Sandy played an integral part of the TRC work in Maine and continues to support reconciliation efforts around the country, including Minnesota. Appetizers and beverages will be served. April 8th from 5 to 8pm, and April 13th from 11:30am to 2:30pm. U of M, St Paul Student Center Theatre, 2017 Buford Ave, St Paul. For info, see: dawnland.org. Register for tickets at: z.umn.edu/dawnland-tickets. Open Alcoholics Anonymous meeting. We work Steps and Traditions according to the month. Step 4 and Tradition 4 for the month of April. Mondays from 6- 7pm. Free. No child care provided. Gichitwaa Kateri Church, 3045 Park Ave, Mpls. (Use parking lot entrance.) For info, contact Betty at 612-387-4463 or Shawn at 612-824-7606. MC: Jerry Dearly. Arena Directors: Miziway Desjarlait and Randy Gresczyk. Host Drum: Oyate Teca. Head Dancers: Athena Cloud and Zach Red Bear. Drum honorariums for invited drums only. Honorariums for all dancers. Dancers must be registered and dance for grand entry. Specials: Men’s Grass Special, Women’s Jingle Special, Potato Dance and Two-Step Contest. Feast at 5pm in T-Plaza. Grand Entry at 6:30pm in Bowman Hall Gym, Minneapolis College, 1501 Hennepin Ave, Mpls. For info, contact Randy Gresczyk at 612-659-6713. We provide light snacks, beverages, and lunch. You provide questions and a desire to positively improve your financial situation. 9am to 4pm. Bii Gii wiin, 1508 E Franklin Ave, # 100, Mpls. For info, call 612-354-2249 or register on facebook: www.facebook.com/biigiiwiin. The Walker Art Center announces the launch of an Indigenous Public Art Commission, a project inviting artists’ proposals for a new public artwork for placement in the Minneapolis Sculpture Garden or a location on the Walker campus planned for the fall of 2020. This initiative evolved from a series of commitments the Walker Art Center made with Dakota elders in a mediation process in 2017 connected to the removal of artist Sam Durant’s work Scaffold from the Minneapolis Sculpture Garden. Proposals for public art projects will be reviewed by the Walker along with an Indigenous Public Art Selection Committee, a group of Native curators, knowledge keepers, artists, and arts professionals — including individuals of Dakota descent and enrollment — based in Minnesota and nationally. The group is working collaboratively with the Walker Art Center to shape the commission process, review applications, and select the final proposal. Artists interested in submitting original proposals for this public art project are encouraged to consider working in a range of materials. Projects may be proposed by individual artists or collectives. Artists with in-depth knowledge and understanding of Dakota culture and language are encouraged to apply. Application process opens April 15 with deadline for submission June 17. Semifinalists notified September 16. Selected artist announced Fall 2020. For info, see: walkerart.org/public-art-commission. Celebrating Native Voices: Short Films by Indigenous filmmakers. Join us for a night of short films that include films ranging from narrative fiction based on historical reality to documentary to youth produced work. The filmmakers will participate in person and via Zoom. 4pm-5:30pm. Free. University of St. Thomas, O’Shaughnessy Educational Center Auditorium, 2115 Summit Ave, St Paul. For info, see: www.augsburg.edu/filmseries/2019/01/31/celebrating-native-voices-short-films-by-native-american-filmmakers. Watermark Art Center is seeking artists of all medias to submit work for an upcoming group exhibition. “Nibikaang – From the Water” will celebrate the importance of water in our everyday life. The premise of the exhibit is to have artists living within the Mississippi Watershed, Great Lakes or Red River of the North submit work about their relationship to water: interactions, observations, history, concerns, etc. This exhibit will bring together diverse perspectives that have been formed in this region, where water is so fundamental to our way of life. The exhibit will be on display at Watermark from July 8 – September 22. Submissions will be accepted online only. Deadline is April 19. There is no submission fee. For info, see: watermarkartcenter.org. Honoring 2019 Rochester Public Schools Native American Graduates. MC: Jerry Dearly. AD: Randy Gresczyk. Host Drum: Battle River. Invited drums: Ain Dah Yung, Prairie Island Singer. Dance special: Women’s 3-2-1 Special, Men’s 3-2-1 Special. 1pm – 7pm. John Marshall High School, 1510 14th St NW, Rochester, MN. For info, contact dabjoraker@Rochester.k12.mn.us or call 507-328-4263. Reed Bobroff is a poet, playwright, and performer from Albuquerque, New Mexico. He is a descendant of Russian, German, and French immigrants as well as a member of the Navajo Nation. His work is largely focused on race and identity. He will be joined by local playwright, actor and singer/composer Marisa Carr. In 2014 Lavender Magazine named her “Best New Political Playwright” for her play Reconciliation. She is a member of the Unit Collective and a core artist at New Native Theatre. 8pm. $5 Loft members, $10 general admission. At the door: Pay-what-you-wish, as available. The Loft at Open Book, 1011 Washington Ave S, Mpls. For info and tickets, see: www.loft.org. Indian Health Board and MIWRC welcome the Johns Hopkins Center for American Indian Health to present Respecting the Circle of Life, a sexual health education curriculum specifically designed for American Indian youth. This training will prepare youth workers, sexual health educators, and other community professionals to teach youth valuable lessons and skills for a healthier future. We invite you to join us in learning how to teach this important new curriculum and bring it to your communities. Registration is necessary but there is no cost to attend this event. Food will not be provided, and lunch will be on your own for one hour each day. 9am – 4:30pm. Training will take place in the Community Room at MIWRC, 2300 15th Ave S, Mpls. For info, see: http://caih.jhu.edu/programs/rcl-camp, or https://miwrc.salsalabs.org/respectingthecircleoflifetrainthetrainer/index.html. • May 15: Land Ownership Pres, 5 – 8pm, Mpls Urban Office, 1308 E Franklin Ave, Mpls. The All Nations Men’s and Women’s Gathering Center (a.k.a. Indigenous Men’s and Women’s Oyate) of Pine Ridge has a Tatanka Alliance with ManKind Project USA. For several years we have gathered indigenous and non-natives for weekends with elders for a sharing of our medicines where we heal and empower men at one site, while the women have their own circle at a separate location. Then we have combined for ceremony and feast together. This year we spread the invitation to our First Nation Minnesota brothers. 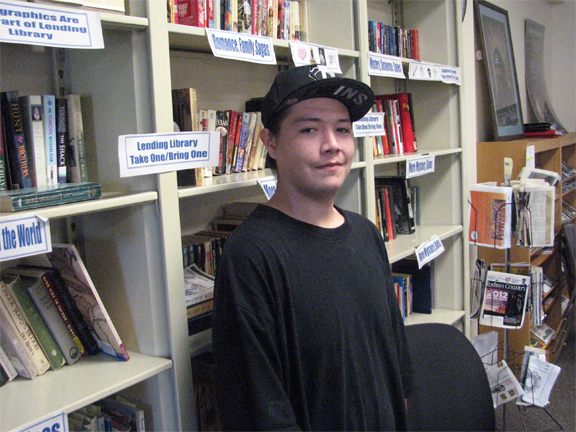 For this April NWTA weekend, our leadership will accept up to 30 new Indigenous men. Don’t worry about fees, food or lodging. The event takes place at 20019 BIA Rt #4, Kyle, SD. For info, see: www.allnationsgatheringcenter.org, or http://mkpusa.org. Contacts: Guss Yellowhair at 605-840-9101; Carol Iron Rope-Herrera at 605-899-0980; Chubbs Thunder Hawk at 605-407-0601; Sam Ladeaux at 303-918-0651; Jim Ramm at jramm@ecoengineers.us or 515-344-9715; Jamie Wellik at jamie@wellik.org or 612-267-1467. •June 21 – 23: Next NWTA for men will take place near Chandler, MN. The Oyate Language bowl is an event to bring the Očhéthi Šakówiŋ people together to use our Dakota language so we can strengthen ourselves, our families, our communities and our language. There will be two competitions: Youth (middle school and high school), and Adult (18+). Must have a minimum of three team members to play. Max of four team mates can be on stage. Each team can have two alternates. Registration cost per team is $100. 9am-3pm. 24th Annual Indian Education Day and Wačhípi, Osseo Middle School, 10223 93rd Ave N, Osseo, MN. To register, see: https://goo.gl/forms/EfD34sq2Eo7DDP2R2. For info, email: admin@dakhota.org. This event will commence the month-long celebration of activities and events for American Indian Month in MN. It all starts with a parade, beginning at MAIC. All are welcome. MAIC, 1530 E Franklin, Ave, Mpl.s For info and start time, contact Alex at: abuffalohead@nacdi.org. 2019 Cora’s Kids and Garden Warriors applications are now open. For all Native youth who are interested in gaining a deeper knowledge of how to grow traditional, healthy indigenous foods. Please fill out either an online application or mail in a hard copy of our application form. This year, we will be holding two sessions of Cora’s Kids and two sessions of Garden Warriors. Dates are: Cora’s Kids Session I (for Native youth ages 8-12), June 10th-13th. Cora’s Kids Session II (for Native youth ages 8-12), June 24th-27th. Garden Warriors I (for Native youth ages 13-18 who are returning to the program), July 8th-25th. Garden Warriors II (for Native youth ages 13-18 who are returning to the program), August 5th-22nd. For info and application, contact Phoebe Young at: https://dreamofwildhealth.org. This year’s Dakhóta Gathering theme is thokátakiya máni pi (keep moving forward). On May 4th,1863 Dakhóta people who had been imprisoned at a concentration camp below Fort Snelling at Bdóte were taken by steamboat and exiled from Mnísota Makhóčhe. To mark our return and assert our continued presence on this sacred land where the rivers meet, we invite all Očhéthi Šakówiŋ Oyáte to return home, unify in peace, and share community knowledge, teachings, and stories with one another. Event scheduled for Thursday, May 2nd thru Saturday, May 4th at Historic Fort Snelling at Bdote. For info, see: http://omniciye.org. Powwow for Hope is a community healing event and fundraiser. Fundraisers and Teams are forming now! Fundraisers and Teams are a critical part of Powwow for Hope and the work of the Foundation. The funds that are raised help support the availability of community education, screening, outreach, survivor support and opportunities within the community. Fundraisers can join forces and create a Team. Creating a team is an easy and fun way to join together to help loved ones who are experiencing cancer. Fundraisers and Teams do NOT need to be present at the Powwow for Hope event. You can participate from anywhere by creating a fundraiser and forming a team or joining an existing team. Register your team and raise $20 per person by April 19 for a T-shirt at the event. Base Camp Facility, 6202 Bloomington Road, St.Paul. If your team is interested in having a table, contact dchosa@aicaf.org. For info, see: http://powwowforhope.org. Come out and join us! Wanaisguni Hikurus Hajawi, is a Hoocak term meaning ‘Take back our health’. This event is intended for American Indians who want to take an active stance on preventing diabetes, childhood obesity and recognizing that being healthy is a Native tradition. This is our 8th annual 5K Run/Walk event, and each year our number of participants grows. Each participant will receive a 5K tee-shirt, finisher’s medallion, raffle tickets for health inspiring prizes, and a nutritious and delicious meal. Event is free. Share and encourage all of Indian Country to come to see the beautiful Lake Phalen surrounded by hundreds of American Indians reclaiming our health. 4pm – 7:30pm. Phalen Regional Park, 1600 Phalen Dr (Main Pavilion), StPaul. For info, see: www.eventbrite.com/e/wanaisguni-hikurus-hajawi-5k-runwalk-2019-tickets-57211199237?aff=ebdshpsearchautocomplete. Columbia Heights Powwow celebrating graduating American Indian Seniors. Emcee: Shawnee Hunt. Host Drum: TBD, AD: Asa Ochoa. Free and open to the public. Free raffle for all attendees. Inviting all dancers in regalia. Noon – 4pm. Feast at 4pm. Hylander Center, 1400 49th Ave NE, Columbia Heights, MN. For info, call Valerie Larsen at 763-528-4629. The Ain Dah Yung Open House and Celebration is our favorite day to acknowledge the work we’re all doing together as we honor the great ventures that are being put forth to pave paths of safety and health for our people and the partnerships that are helping to make it all happen. 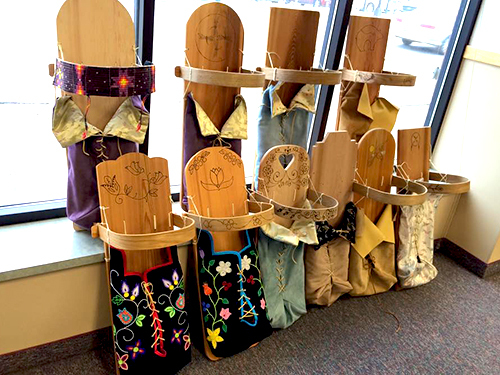 Honoring Herb Sam, local leaders coming together, basket drawings, and more. 11am—2pm. Ain Dah Yung Center, 1089 Portland Ave, St Paul, MN. For info, call 651-227-4184 or email: Jill.ross@adycenter.org. Or see: www.adycenter.org.